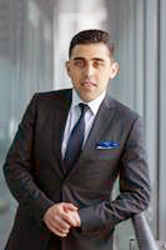 Mohamed Hage invited as guest speaker to MENA’s elite family offices. Mohamed Hage was invited as a guest speaker as part of a global family office summit in Dubai to provide insight on the 2019 global market outlook and asset allocation to the elite family office decision makers and Sovereign Wealth Funds in the MENA region and across the globe. Hage, who has delivered and led the research insights into asset allocation and investment markets to multi institutional and government clients globally expected emerging market equities to outperform developed market equities in 2019. He mentioned that increasing trade diversification, improving fundamentals and strong investment growth would offer superior economic prospects in the long run in emerging markets. Middle Eastern stock markets have done well on a relative basis. Saudi Arabia's inclusion in the MSCI Emerging Markets will have a positive impact on the market and liquidity for the MENA region. Infrastructure investment would also be a vital component in encouraging the MENA regions economic growth. Highlighting the positive aspects of volatility, Hage also said that recent falling asset prices can create buying opportunities for investors who wanted to increase their exposure to quality assets at attractive entries.